This blog thing can really get away one you. I can’t believe the last post is a little over a month old. 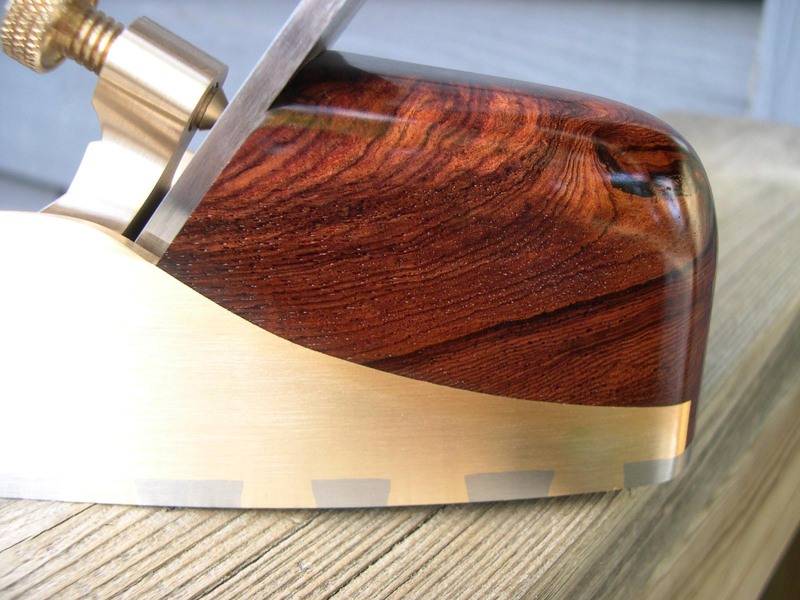 It has been a busy month with lots going on in the shop. 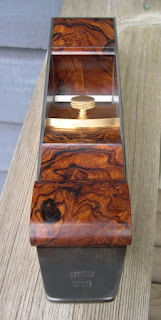 A new variation of the K7 - bronze sides and a bronze lever cap and screw. 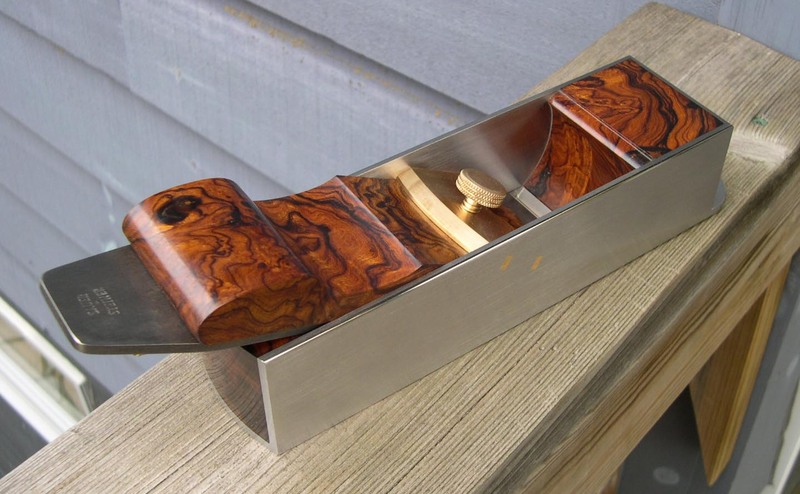 It was really interesting to make this plane with bronze instead of steel and stainless. Brass cross pins really help maintain a clean profile. Figured Honduran Rosewood doesn’t hurt either. The owner of this plane has been keeping me posted as he has been using it and sending photos of the work he is doing. 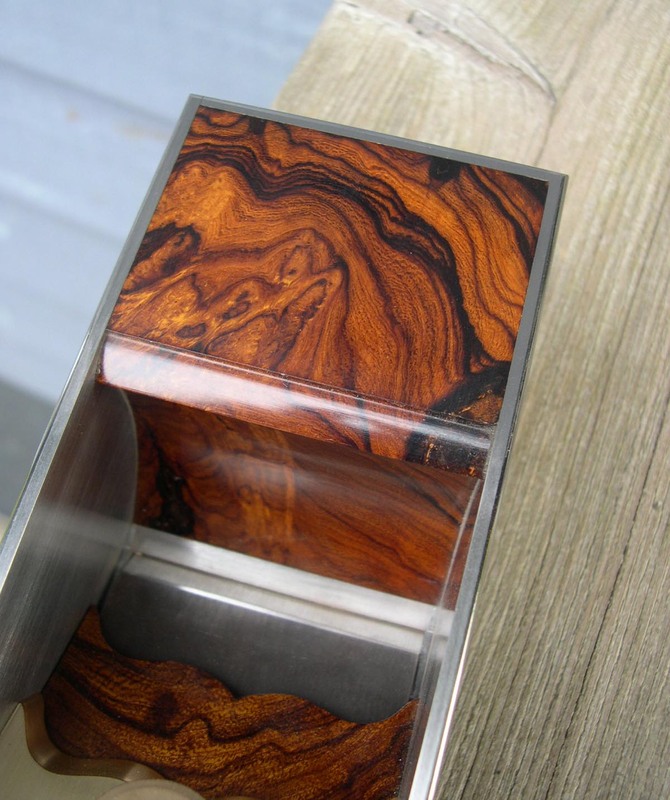 It was pretty cool to see someone else planing figured veneer. 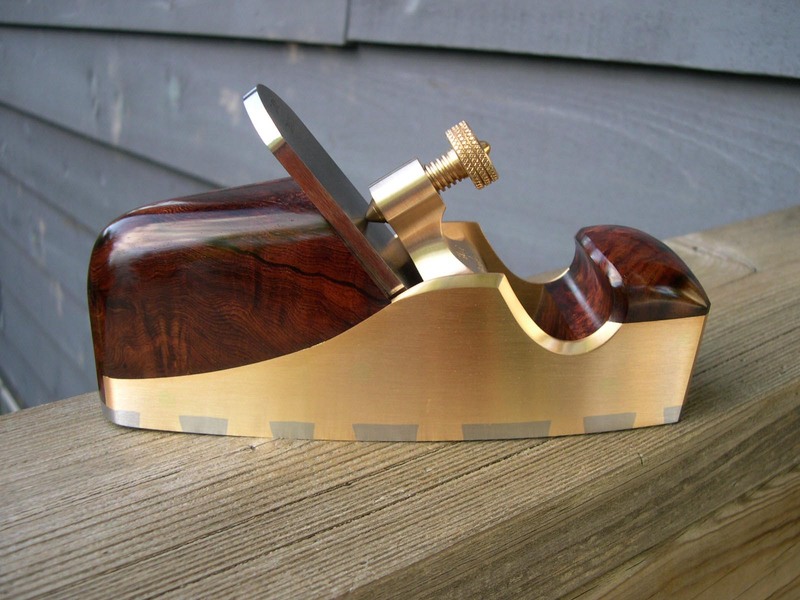 Another plane variation - an A11 mitre plane with a bronze bridge and screw. Until this plane, all the A11 mitres were all steel. 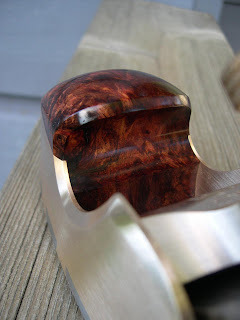 This was another really great variation and the little hit of bronze really works well with the Desert Ironwood. An all steel version would have looked great too... but I think this is even better. 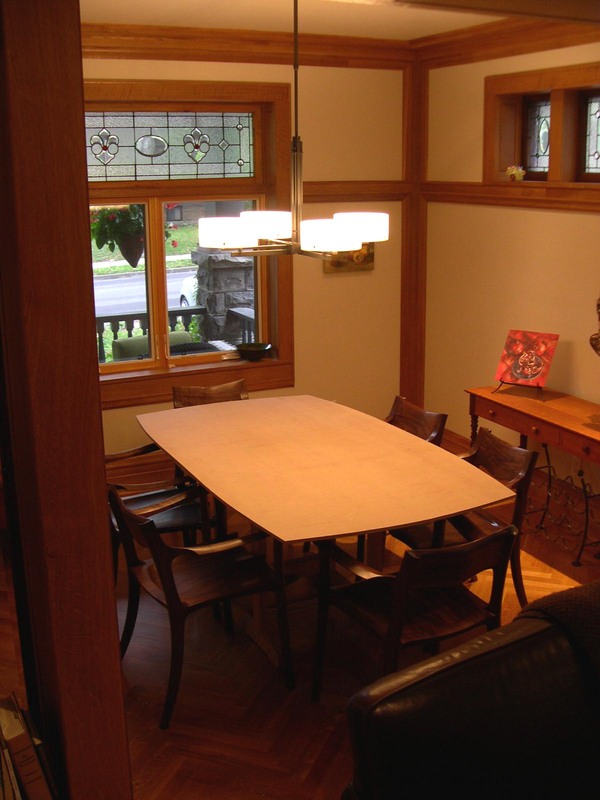 The dining room chairs are now completed and have been moved into the house. 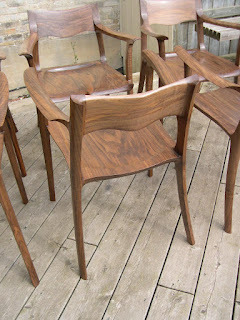 It was great to get the space back in the shop - amazing how much room 5 chairs take up! 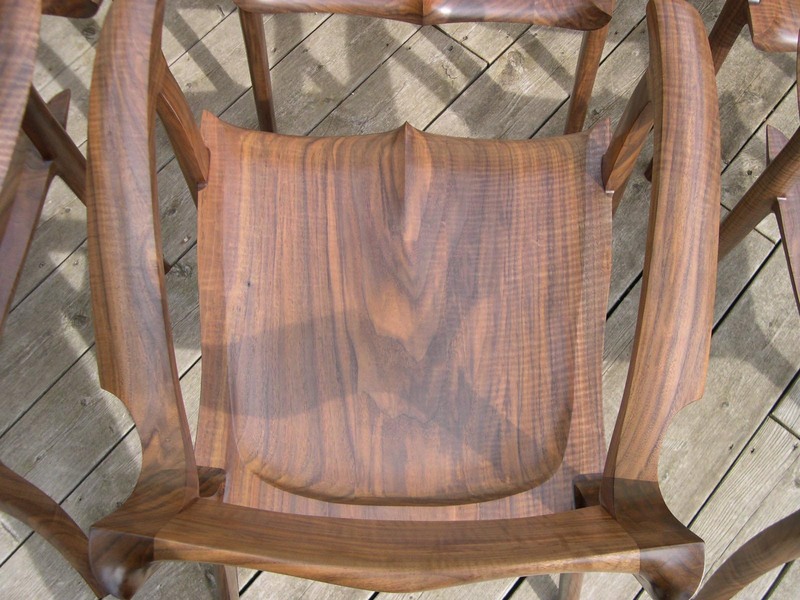 The finishing process went much more smoothly than on the first chair. Even still - I was going a little snakey waiting for the finish to dry. Here are a few quick photos as I was bringing them into the house before it started raining. I am in the early planing stages of the table now. 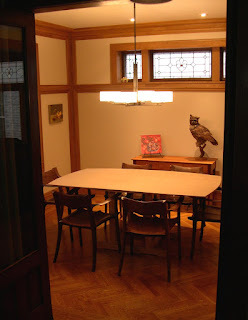 We were really curious to see how the chairs would look in the dining room. 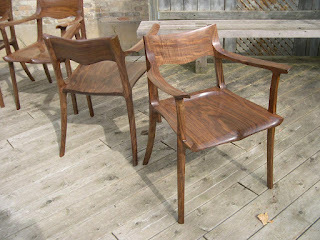 We were also curious to see how they would look in a 4 chair configuration. 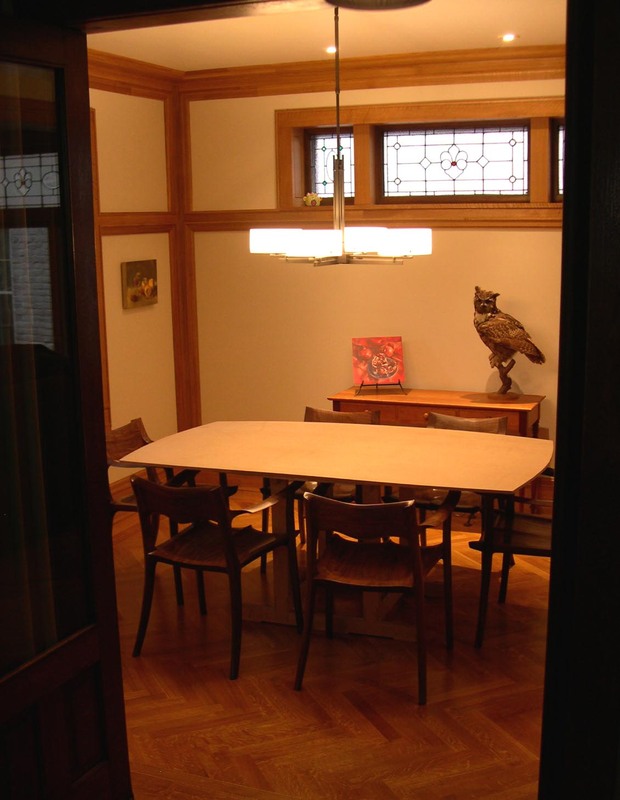 Our dining room space is not huge, and we assumed that an expanding dining table (butterfly leaf to be exact) would be the best solution. We had visions of a 4 seat table in the middle of the room and then on the occasions when we needed more seating - we would expand the table to 6. I made 2 mock-up tops - one 4 seat top and then a 6 seat top (the 6 seater being the 4 seat top expanded). Funny thing is - the 4 seat top looked terrible. And I mean really terrible. I had the top on sawhorses and wondered if that was the problem. I brought in the 6 chair top and very quickly realized the problem was not the sawhorses - the 4 person top was just the wrong top. I stood there for a while staring at it somewhat dumbfounded. I opted to wait until Jill came home to see if she would have a similar response. She did and, we were both somewhat flabbergasted. 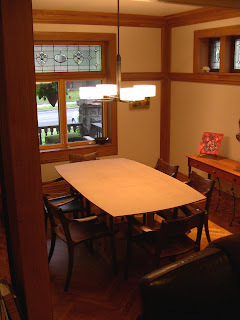 We concluded that the 4 seat top was too small in relation to the chairs and that if a squarish table was going to work - it would need to be about 46" wide. 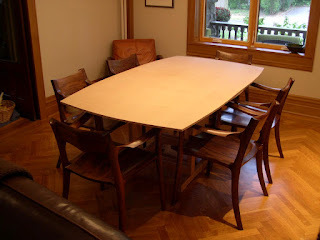 That might have worked for a 4 seat table, but would not work as an expandable table. 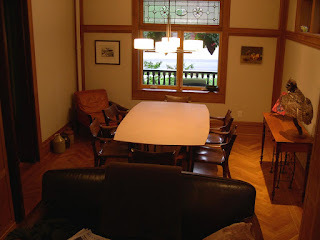 The other issue is that the 4 person top was too close in proportion to the light fixture above it. It created a visual column that was not pleasing at all. We have decided on a fixed table that will hold all 6 chairs. I am both relieved and disappointed. Relieved that a fixed base table will be much simpler (maybe, faster?) to make, but a little bit sad that I cannot mess around with a butterfly leaf design. They are so cool! The other good thing about having a 6 seat table is all the chairs will have a home. I covered the floor in kraft paper and traced the mock-up top onto it. We then placed the table top back onto the saw horses making sure that the top was in line with the outline on the paper. We then placed the chairs and marked the locations of the feet. We marked both the “tucked in” position as well as the sitting position. We also marked where our feet were located. I figured it would be a good idea to take the time and make a road-map of where everything was. There is nothing worse than sitting at a table and having to straddle a table leg or something. I am hoping it will help in the base design process. I have 2 rough designs in mind - one is a trestle style base and the other a 4 leg design. I suspect I will mock-up both with some construction grade lumber. 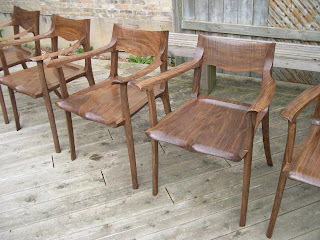 Here are a few photos of the chairs around the MDF mock-up top. There are several shows coming up starting with next weekend (Oct. 12th and 13th) at A&M woods in Cambridge Ontario. 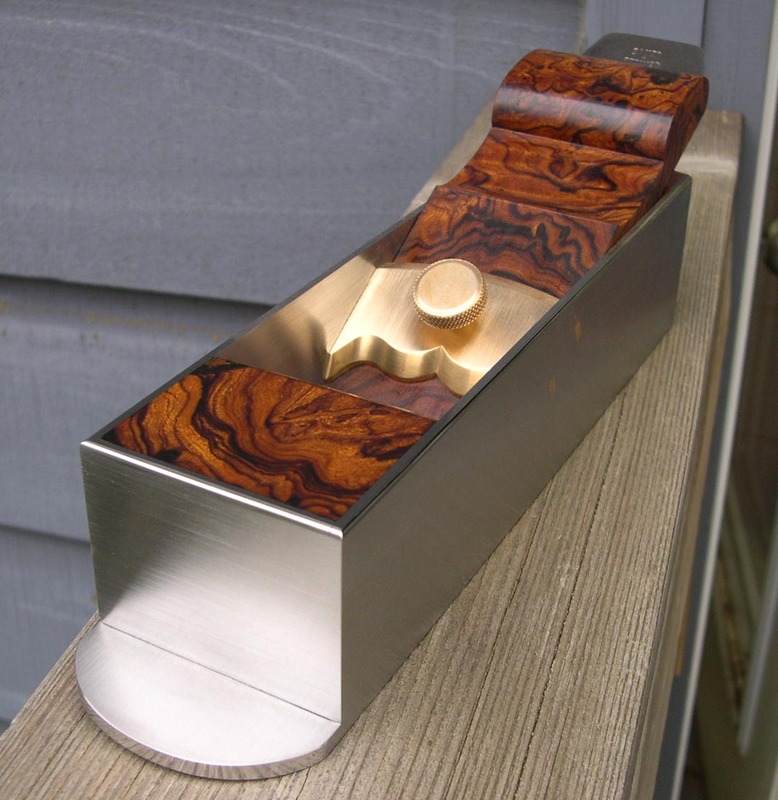 It is their 40th anniversary and it was timed perfectly with Lie Nielsen’s handtool event. There is a great line up of demonstrators and should be a fantastic event. 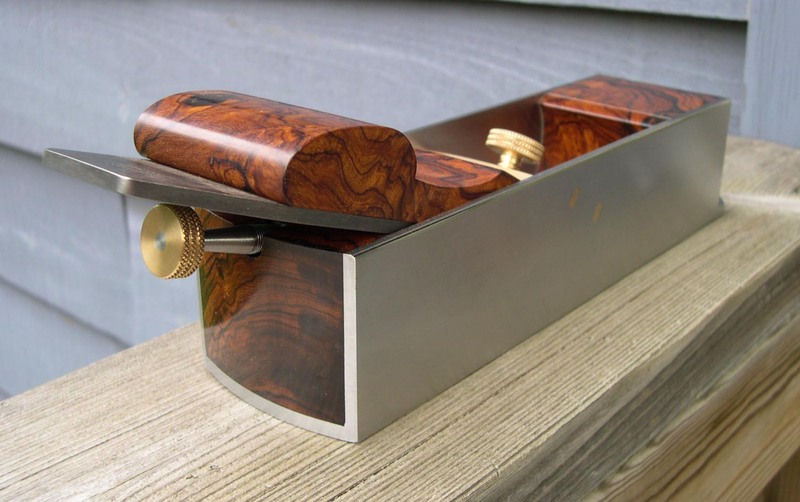 Woodworking in America is coming up as well. November 2nd to the 4th.This is always a great event and a chance to catch up with old friends. 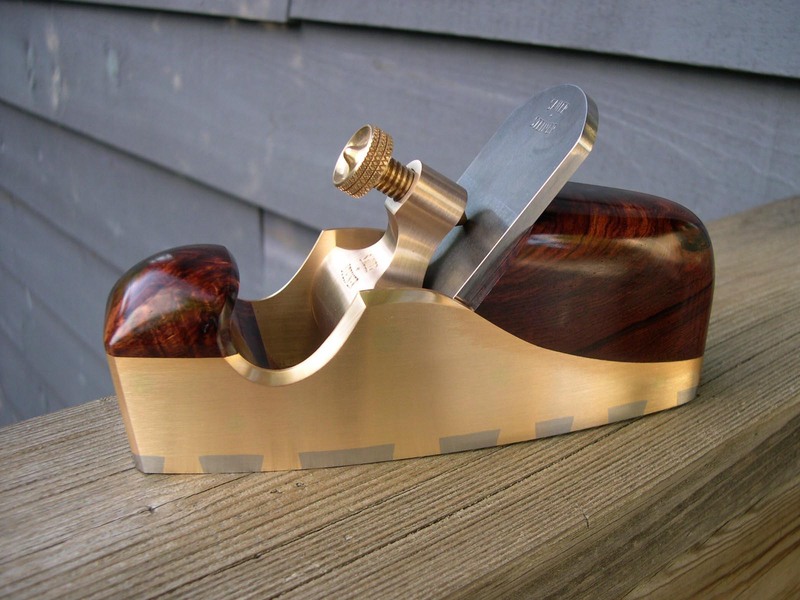 There is a new event called HandWorks that I am really excited about. It is a not for a while yet - but worth marking on your schedules now. There is a pretty amazing line-up of people demonstrating and showing their work. That’s about it for September. 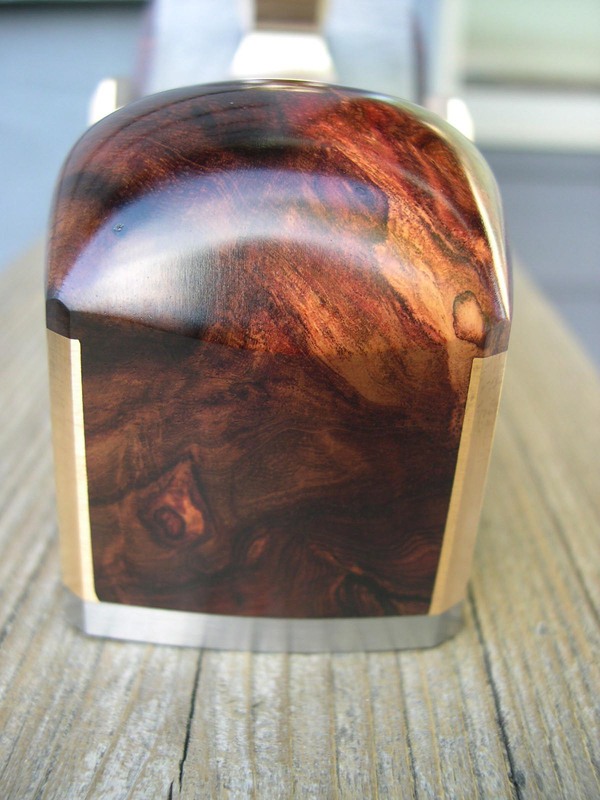 Working with Pink Ivory, birds-eye Boxwood and Desert Ironwood burl right now - there is some pretty funky looking dust under my tail vise - Neapolitan ice cream comes to mind. Wow! 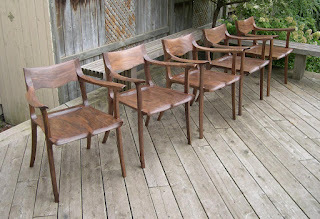 Really nice chairs! 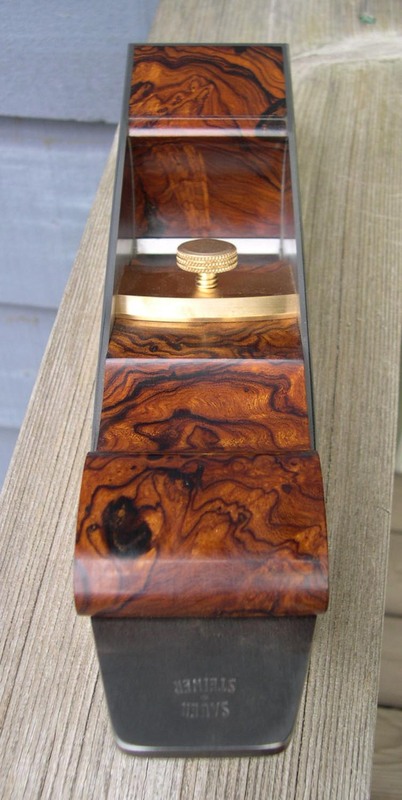 The wood and craftsmanship are equal to each other. I'm sure you've thought of this being a graphics guy, but one thing about your MDF mock up - you may want to stain it or paint it the color of the wood you plan on using for the top. That may change things a bit - especially the base's visual weight in relation to the top - but even the sizing and thickness of the top might change with color. Also, the steel/bronze mix on that plane is very cool. The chairs look really great, Konrad. Hey I recognize that K7 !! Lovin it!! 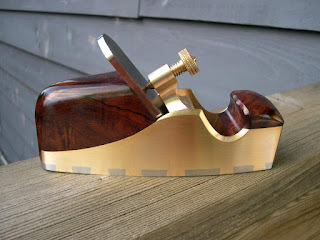 The desert Ironwood Mitre Plane nice looker also. Chairs turned out great Konrad. I like the shape of your top you mocked up. Can't wait to see what you do for legs. Every time I see a new post on my RSS next to your blog I get a little bolt of excitement. Part of what makes your blog great is the high quality, keep it up, I know it takes a lot of effort! I really like studying your art, you are lucky to have the talent and dedication to create the work and spend the time to share it with all of us! The chair set you made is a real masterpiece. I cant wait to see the table to go along with it! Beautiful work as always, both on the plane front and the furniture side. I really like the warmth the bronze adds to the K7 shown. 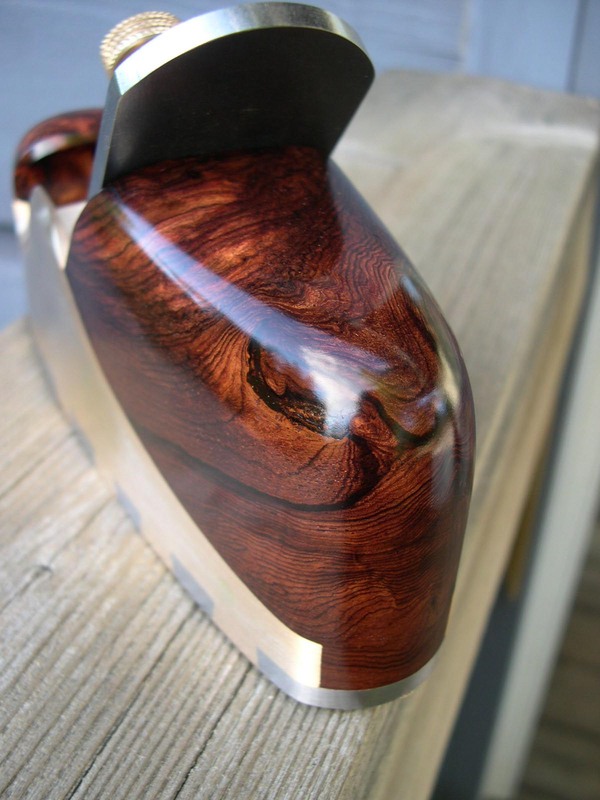 Have you ever done a bronze sole&sides? That might keep the lines clean. Perhaps tweak the side dovetail angle/shape to be K-style somehow? The chairs are amazing, love the subtle curves from every angle, contrasted with the sharp lines and points. Every time I check back on your build I go out into my own shop and draw all over my roughed out chairs. I'm glad you're finished because I'd never get around to finishing if you kept it up. 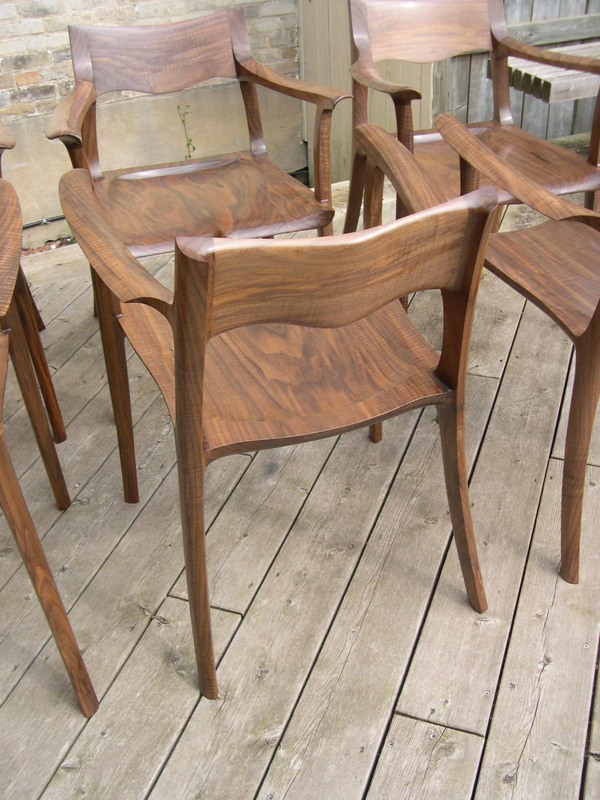 I've got the same problem with my table, think the idea of a mock top in place with the fished chairs is a great one! And Robert is SO right about replicating the color! The lumber for mine has been in the rafters of my shop for three years now, and I'm terrified to even start. Been through a hundred variations for the base on paper and Sketchup, and have resigned myself to the fact that it can't even start till the chairs are done. Thanks for the confirmation of my instincts! A great suggestion to color the MDF to simulate a walnut top. To be honest, the top was so obviously wrong, coloring it was not needed. The issue had to do with the dimensions of it being so close to that of the light fixture above it. Interestingly - we used the 6 seat top mock-up for thanksgiving and when we put a table cloth on it, it still looked "right". That was another good confirmation that we are on the right track. Glad to hear you are enjoying it and thanks for all the pics. Thanks for the suggestion. There have been a few points where I considered a bronze sole, but never that seriously (not sure why not really). I agree with you though - this might be a good plane to try it with. Hmmmm. Thanks for the very kind comments and note. It is really wonderful to hear that my little blog has been somewhat inspiring for you. Having the chairs completed feels pretty great. I can remember back several months thinking they would never be done. You will get there too. Taking your time is not always a bad thing either - it lets you work out a lot of little details that might otherwise be missed. Keep me posted as you continue to work on them. Damn, those chairs look amazing. I would have missed them if it hadn't been for Jameel's post today.